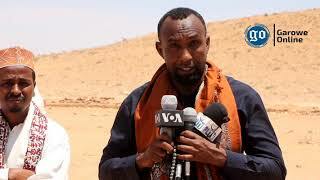 GAROWE, Puntland – Twenty members of the council of Garowe city, the capital of Puntland, Somalia’s northeastern Federal Member State have tabled a motion aimed at ousting Mayor Hassan Mohamed Isse Goodir, Garowe Online reports. The 27-member council has submitted the impeachment motion to the Ministry of Interior, accusing the mayor of incompetence and violating the regulation of the state’s local councils. 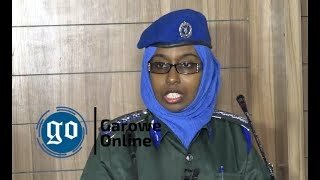 The alleged charges include imposing additional illegal taxes on the population, lack of sanitation services in the city, failing to collaborate with security agencies, leasing public lands, unlawful dismissal, and not holding the mandated Garowe city council Standing Committee meetings. The motion was announced at the opening of the 24th Session of the Garowe Council, which was attended by senior Puntland government officials, state parliamentarians, regional representatives, traditional elders and members of the civil society. 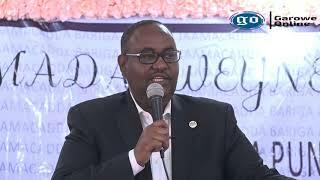 During his keynote speech at the event, Puntland's interior minister, Abdullahi Ali Hirsi Timacadde has urged the councillors to put the motion on hold and resolve the crisis as Puntland is crossroads and heading to parliamentary and Presidential elections. The minister’s remarks sparked disorder and led the event to end in chaos, according to the sources. Several councillors, speaking on condition of anonymity to GO said they have taken all legal means to file the motion aimed to fire the mayor, adding that his deputy will take office as acting till the election of a new mayor on Wednesday, April 4, 2018. The embattled mayor who has been in office since August 20, 2015, is yet to comment on the city council's decision. 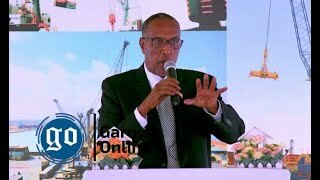 The move comes weeks after Puntland President Abdiweli Mohamed Ali "Gaas" has dissolved Bosaso city council following a dispute over motion. 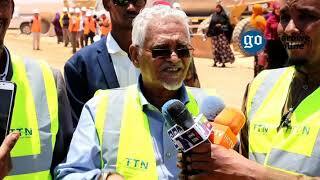 The state lawmakers are expected to elect the next president on Tuesday, the 8th January.